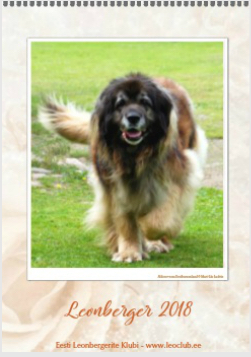 Leonbergers Club of Estonia Calendar “Leonberger 2018” is ready for ordering! Calendar is printed on high-quality glossy paper in format A3. Price 15€ + shipping costs. Please write to info [at] leoclub.ee to order.